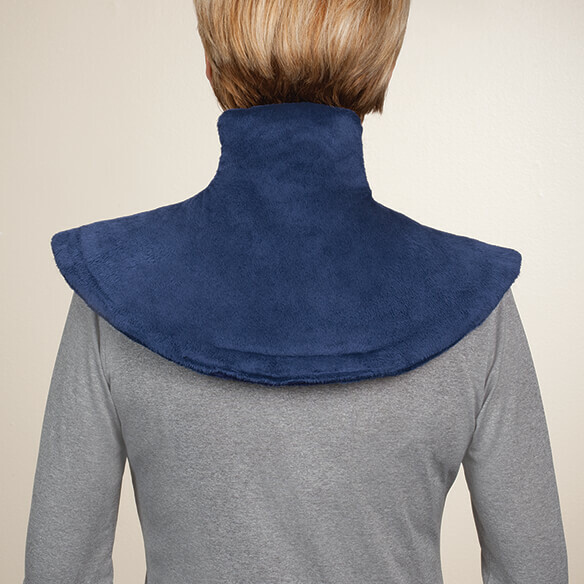 Plush heating pad wrap for shoulders & neck is shaped just right to stay in place on neck and shoulders. Crescent wrap features weighted trim and a neck snap for secure heat therapy as you relax away aches and pains. Automatic shut-off features provides peace of mind if you fall asleep. Soft, micro-plush fabric cover is machine washable. Includes 10’ power cord and English/Spanish instructions. 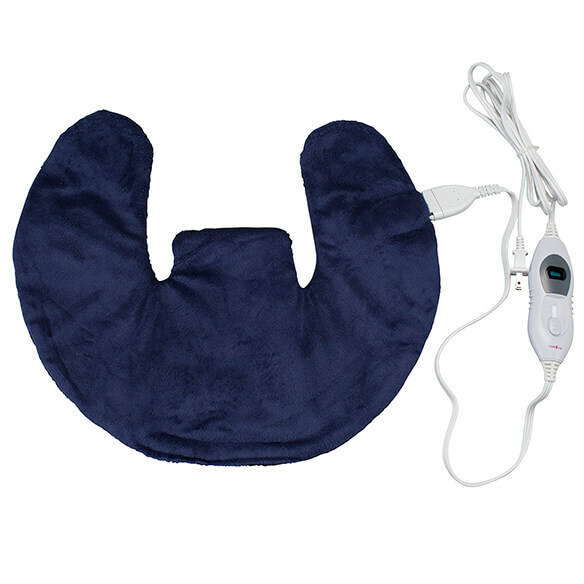 I already own one of these heating pads & love it, particularly the snap feature that securely keeps the pad in the correct position. Very comforting for neck and shoulder pain. Appreciate the 2 hour turn off when falling asleep at night. Five stars out of five!! Neck and shoulder pain and tension. 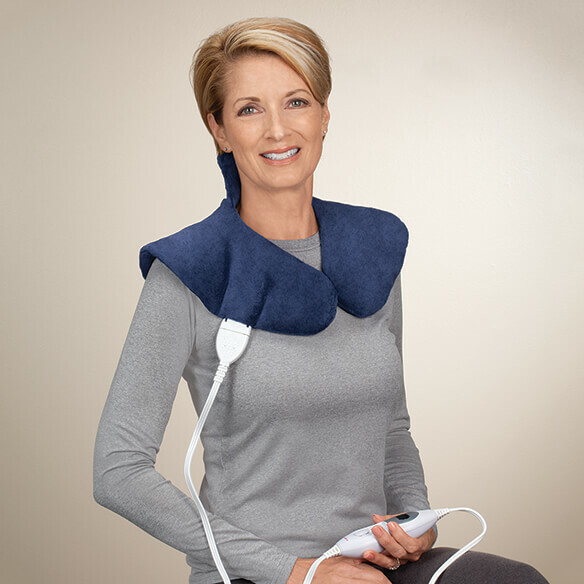 to ease pain in neck and shoulders. It looks like the shape would fit better than a square heating pad on my sore neck and shoulders. MY MOTHER HAS OSTEOARTHRITIS IN HER SHOULDER. I SAW THIS PRODUCT IN THE CATALOG AND THOUGHT IT MAY HELP HER. I hope it will help my mother to feel better!